My name is Erica and I'm your Admissions Advisor at International TEFL Academy! 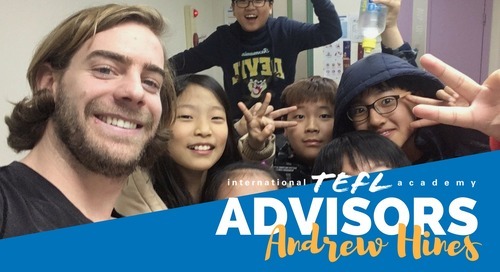 I'm here to answer all your questions about teaching abroad and TEFL certification. I actually taught abroad in Spain myself, so any questions that you do have, I can assure you that I once had them as well! So your friend told you how incredible teaching English abroad can be? Now it's YOUR turn to get TEFL certified and make money teaching abroad. 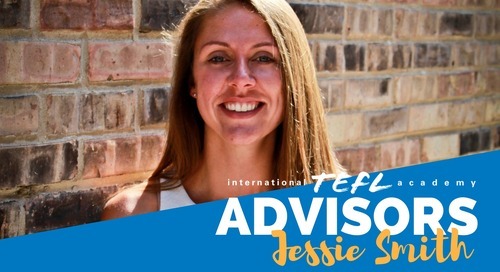 Meet your International TEFL Academy Advisor, Jessie Smith! 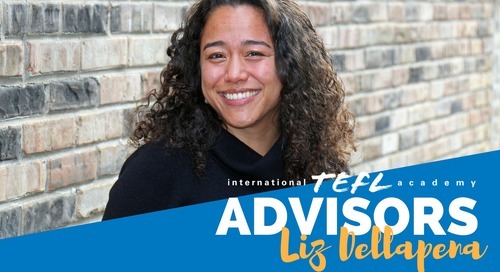 Meet your International TEFL Academy Advisor, Liz Dellapena! 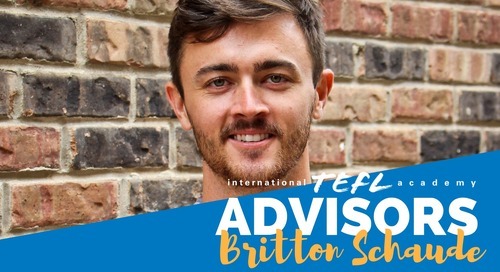 Meet your International TEFL Academy Advisor, Britton Schaude! 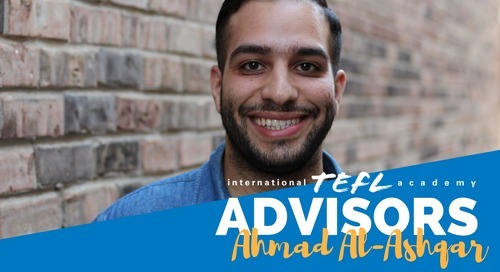 Meet your International TEFL Academy Advisor, Ahmad Al-Ashqar! 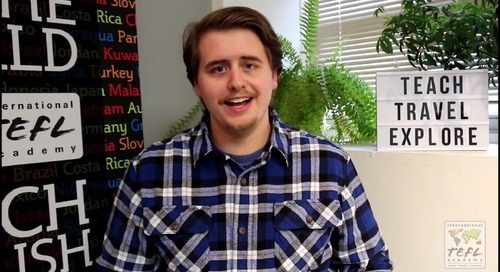 Meet your International TEFL Academy Advisor, Robert Zappa! 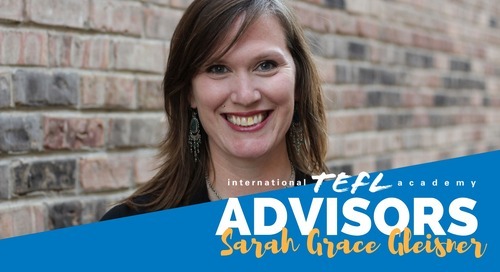 Meet your International TEFL Academy Advisor, Sarah Grace Gleisner! 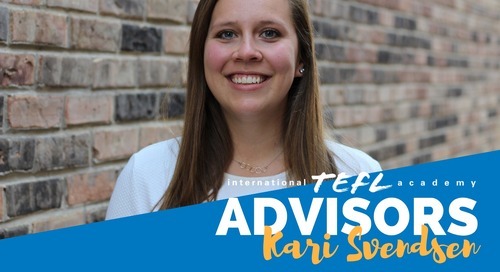 Meet your International TEFL Academy Advisor, Kari Svendsen! 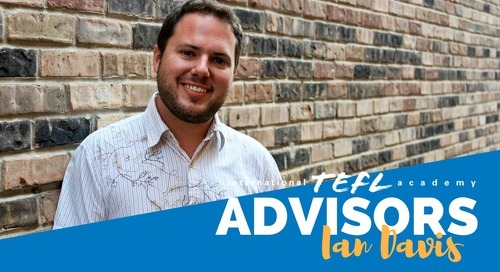 Meet your International TEFL Academy Advisor, Ian Davis! 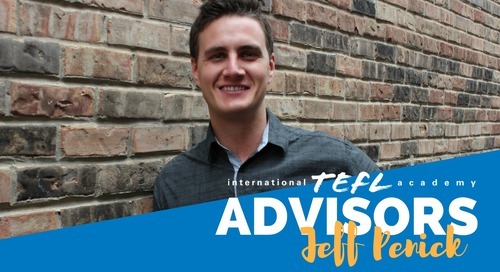 Meet your International TEFL Academy Advisor, Jeff Penick! 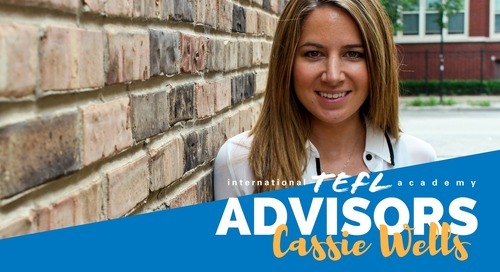 Meet your International TEFL Academy Advisor, Cassie Wells! 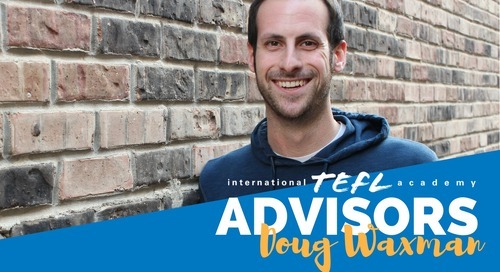 Meet your International TEFL Academy Advisor, Doug Waxman! 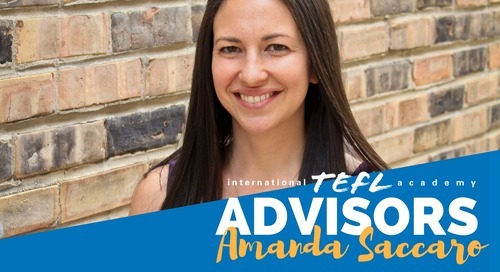 Meet your International TEFL Academy Advisor, Amanda Saccaro! 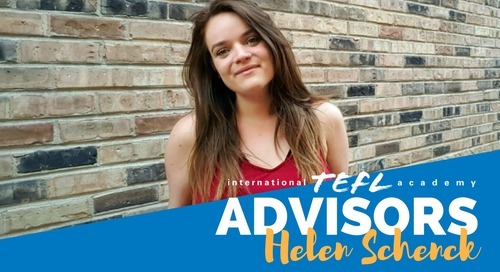 Meet your International TEFL Academy Advisor, Helen Schenck! 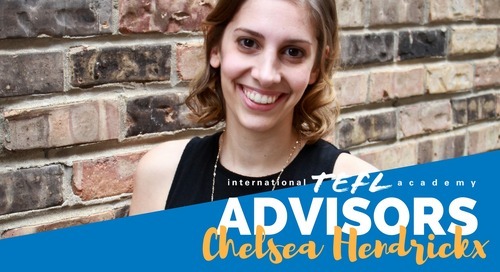 Meet your International TEFL Academy Advisor, Chelsea Hendricks! 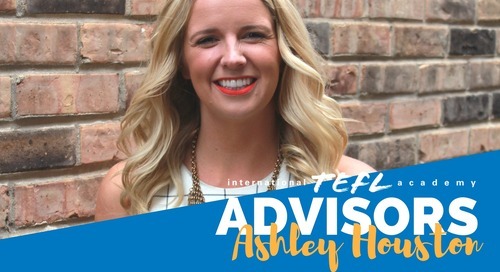 Meet your International TEFL Academy Advisor, Ashley Houston! 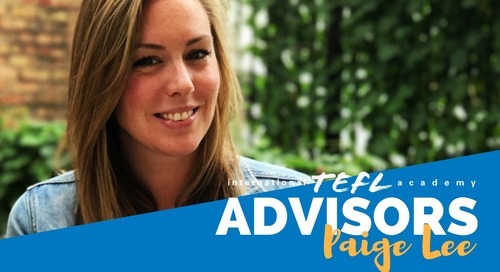 Meet your International TEFL Academy Advisor, Paige Lee! 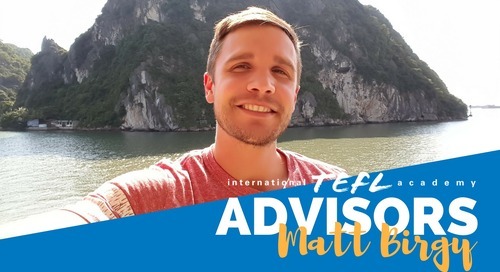 Meet your International TEFL Academy Advisor, Matt Birgy! Meet your International TEFL Academy Advisor, Danielle Lupo! 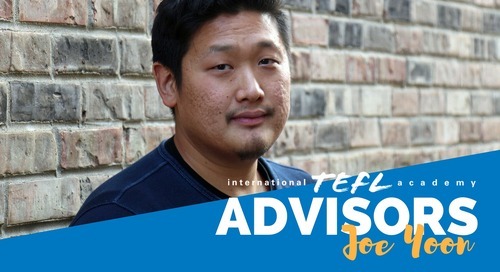 Meet your International TEFL Academy Advisor, Joe Yoon!